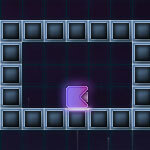 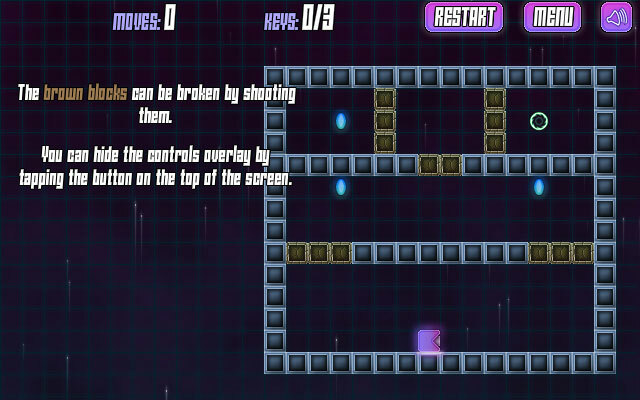 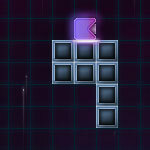 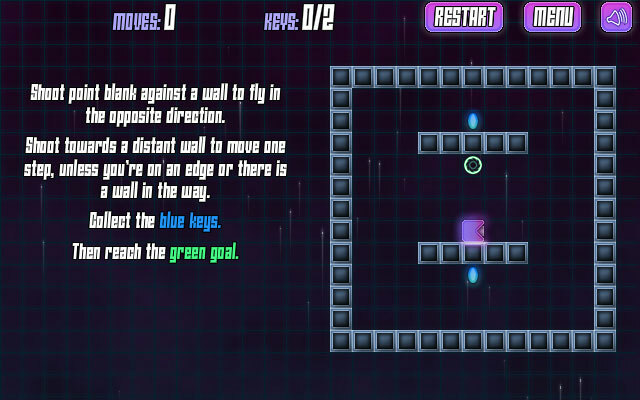 Your mission in the game is to control the cube to get all the blue keys and get to the green exit portal. 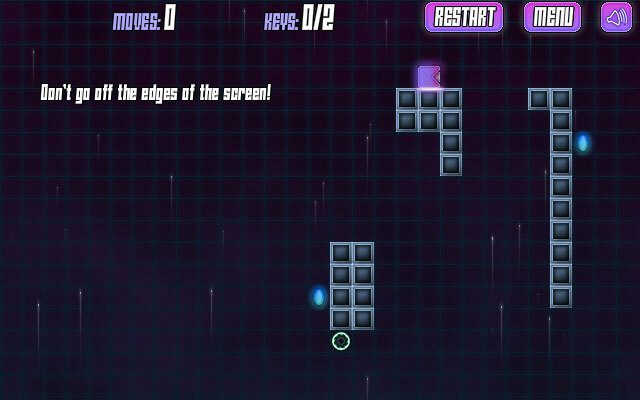 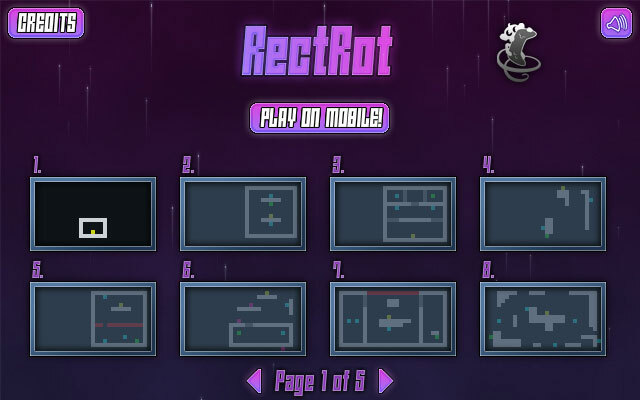 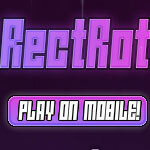 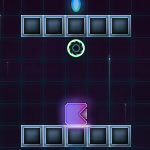 Avoid the obstacles and try to beat each level with as few moves as possible. 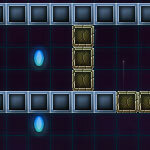 Move with your ARROW keys, with Left and Right keys to move the cube, Up key to fire. 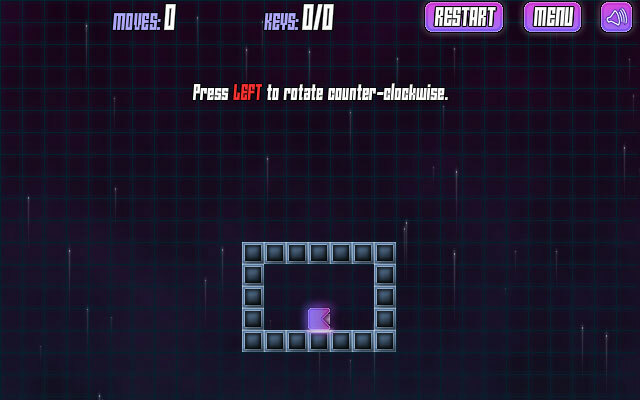 Sometimes you need to give it some thought of your movement in order to unlock the level without jeopardizing the cube's life.